Some of the movies that are rich in content minted huge money all over which added huge figures for the film’s final run all over. Indian audience too has been excited to watch many foreign films in their favorite language. The contribution of the regional audience has been 60% in India while the rest of the audience have been watching the film in English. One such movie that created enough sensation in the recent times is The JungleBook. The film has been based on a book penned by Rudyard Kipling, and all his stories have been initially published as magazines in the past. Later, these magazines have been made as a base to be made as a serial which has been telecasted all over the world. The JB impressed the audience across the world especially the kids have been completely impressed with the weekly series which has been telecasted on Doordarshan on Sundays in India. Most of the kids of the previous generation have been aware of the serial with the same name. Now it has been converted into a film of the same name which has been directed by Jon Favreau. He has taken his own time to pen the script, and special care has been taken in transforming the story into a film. The theatrical trailer of the movie created a huge buzz all over the world, and the expectations on the movie have been huge. 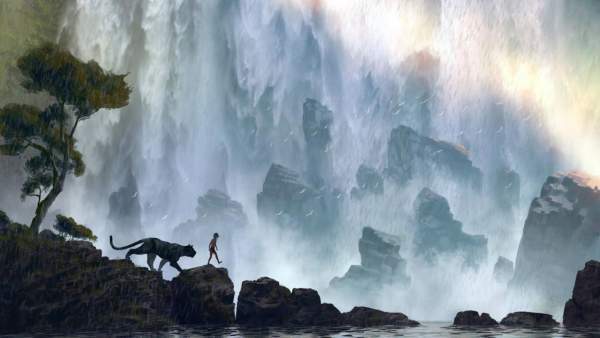 Bill Pope is the cinematographer for The Jungle Book and John Debney composed the music. The film has been made on a massive budget which released across the world on April 8th. The Jungle Book received an exceptional response from the audience across the world and the film opened to packed houses all over. The movie collected Rs 10.09 crores, Rs 13.51 crores and Rs 16.87 crores in its opening weekend making the total cross Rs 40 crores. The collections have been stunning even on weekdays, and the movie collected Rs 7.60 crores, Rs 7.06 crores and Rs 7.03 crores in the weekdays. The film minted Rs 62.17 crores in six days which has been exceptional all over. Walt Disney Productions produced and released the film worldwide.